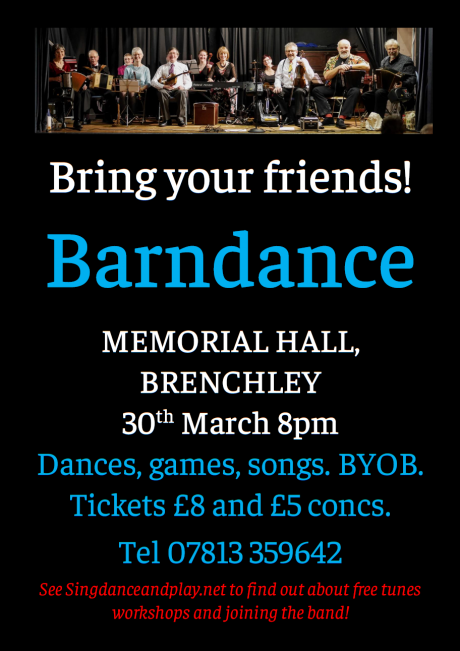 Over the next few weeks we’ll be practising for the workshop’s March barndance. Why not join us for some real fun! The regular and free Horsmonden tunes workshops are about more than just melodeons… Here’s a YouTube aimed at learning fiddle players, and it’s all about how to get phrasing and rhythmic ornamentation into possibly the greatest English country dance tune of all time – Three Around Three. 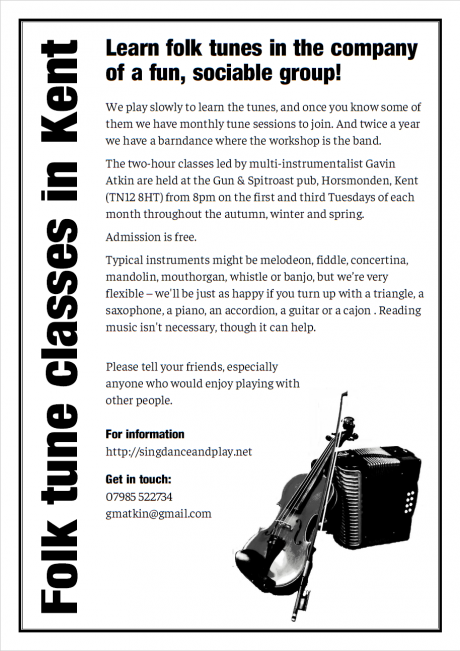 This video may also be useful for other instruments, including mandolin and English concertina.